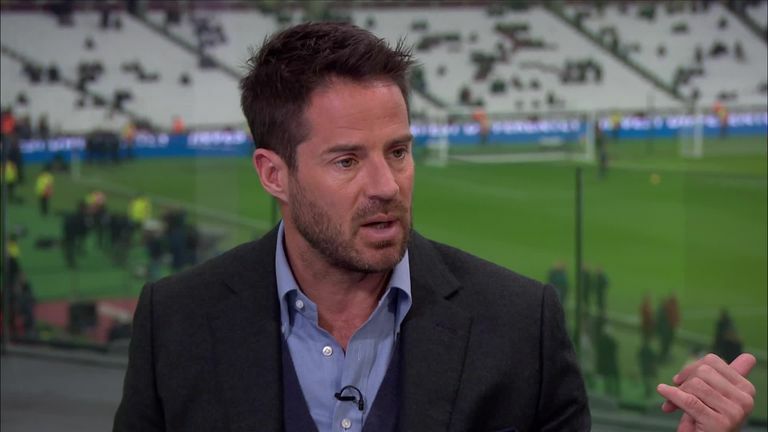 Jack Wilshere told Kelly Cates that Marko Arnautovic is vital to West Ham but Jamie Redknapp believes the club have been put in a extremely difficult situation. Jack Wilshere insists Marko Arnautovic remains vital to West Ham, but Jamie Redknapp believes the club should consider accepting a big-money offer from China. Arnautovic was named in West Ham’s starting line-up for the lunchtime kick-off against Arsenal, despite his brother and agent claiming on Thursday that he wants a move to the Chinese Super League. The Hammers subsequently issued a statement insisting the Austrian forward was not for sale and Wilshere – a guest in the Sky Sports studio – thinks the club must keep hold of a player he believes is among the best in the Premier League.